Spring Valley is officially picked out of cherries and is closed for the 2015 season. Thanks for your loyal support again this year. Each year is different based on weather. This year we opened the season on May 29th and had about a 3 week season, which is a little shorter than normal. Mark your calendars for next year! Check out some photos on Facebook from our great customers! 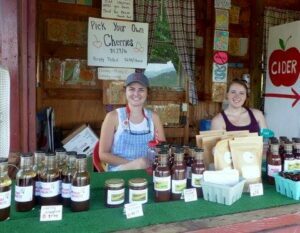 We appreciate you all, and hope to see you at Chiles Peach Orchard and Carter Mountain Orchard real soon!